Realtor.com, which recently added a Windows Mobile offering for those seeking real estate information, announced today they would be more frequently updating listings in participating metro areas. It currently updates listings from nearly half of the 900 MLS systems across the US multiple times per day. Realtor.com is shooting to increase listing updates every 15 minutes. The company hopes to increase the number of properties being updated in 15 minute increments from more than 500,000 every 15 minutes today to more than a million later this year. Some of the metro areas getting thie more frequent listings include Washington DC and Baltimore, Atlanta, Orange County, Boston, Memphis, Las Vegas, Ft. Myers, Cincinnati, Northern Michigan, North San Francisco Bay area and the Silicon Valley, and San Jose. 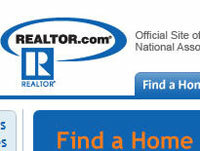 MLS is the biggest search vehicle that potential buyers all use to research listing for their home purchases. Even though they still use a real estate agent most buyers find their own homes, and MLS is the vehicle of choice. Realtor.com needs to keep an eye out on Zillow.com. They are improving their vaulation algorithm and they claim that the values are now 10% better than before. As a lender I always first go to Zillow to get an estimate of value. I usually will look for comps that are similar and that sold 3-6 months ago. That data is getting better and better. I will still confirm with the appraiser but usually I am in line with Zillow. Realtor.com is great if you just want to window shop and not wanting to engage an agent yet. Came across the article when searching for some info on realtors website and find it funny how back then we were all very excited that it could update that fast and now we are so spoiled that if it didn’t update at least that fast we would talk about how terrible the website is. You don’t realize how fast new media changes until you look back just two years. Its a great features. Realtor.com can be closer to its visitors. Anytime they want to access they can access with easy. Hopefully Malaysia property website can catch up with this features.